The City of Ekurhuleni (COE) is an important industrial center in Gauteng, which is South Africa's most economically developed province. With an area of 1,975 km2 and, according to Stats SA (the national statistical service of South Africa) a 2016 population of 3.37 million people, Ekurhuleni is the country’s fourth largest metropolitan area behind Cape Town, Johannesburg, and eThekwini. Ekurhuleni’s is a modern, highly urbanized city, which has served to usher in advanced medical facilities and high levels of education. To achieve and maintain this concentration of technological advancement, COE needed to further transform its health, education, transportation, and security sectors, as well as upgrade basic services such as electricity, water, public health, and emergency medical care. Huawei’s powerful and open digital platform supports cloud data center solutions and converged communications solutions. Few other industry vendors can match the capabilities and products offered by Huawei. Huawei solutions are compatible with third party developers that help customers participate in the prosperous global market of Smart City ecosystems. To date, the Huawei Smart City digital platform has been deployed in more than 160 cities across over 40 countries. In view of these advantages, the City Ekurhuleni selected Huawei to help it become a Smart City. In terms of strategy implementation, everything began with connectivity. First, the City of Ekurhuleni built a fiber broadband infrastructure to provide broadband access for third parties and enable data center network access to boost the economic development of local enterprises. The customer deployed a 1,400 km fiber network infrastructure that has reduced production costs by 75 percent. Second, Huawei enabled wireless broadband connectivity to provide free, public Wi-Fi. Government office buildings, municipal clinics, and libraries were the first to be covered, and were soon followed with the addition of commercial and residential areas. Third, Huawei deployed a video conferencing solution to support Ekurhuleni’s 27 departments and public utilities, including access to remote branch offices. In the past, when city staff would travel through heavy traffic for frequent inter- and intra-departmental meetings, the ride to the meeting could last longer than the actual conference. Today, with the new video conferencing system deployed in all important buildings, efficient communications among government departments and public utilities is assured. The high quality, easy-to-use video conferencing solution has improved office efficiency by saving time and reducing costs. In addition, the video conferencing solution integrates with office systems and business systems to better support the city’s customer service business. Historically, government departments were slow to resolve problems that affected citizens and local enterprises. Coordination between departments was irregular and often difficult because department data was isolated in separate data centers. Ekurhuleni chose to build a secure, stable, and open cloud data center that could integrate diverse government applications, thereby improving government efficiency. Provided automatic switchover and visualized DR to reduce Operations and Maintenance (O&M) costs and improve management efficiency by 65 percent. The upgraded data centers ensured stable operation of Ekurhuleni’s diverse smart government applications. 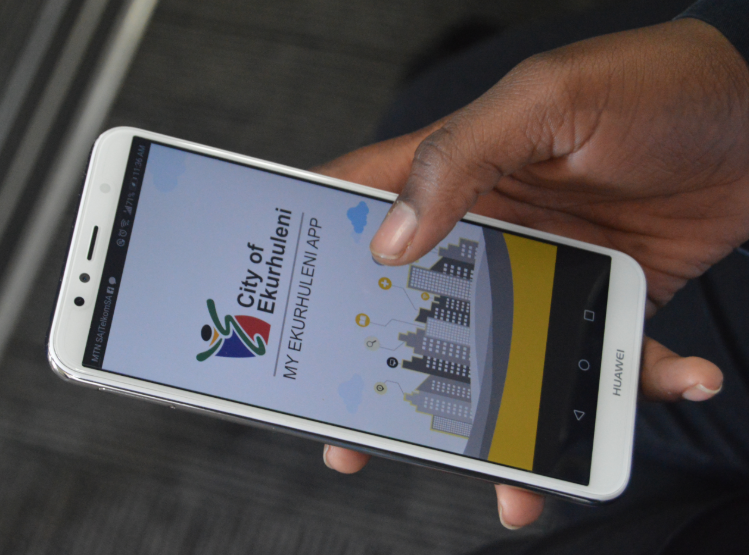 One of those applications is the ‘My Ekurhuleni’ App to provide mobile access to a majority of local government services.